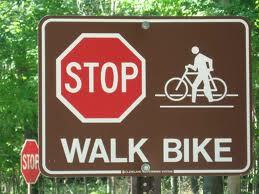 The City of Jeffersonville is hosting public meetings on April 9th and 10th for our Bicycle & Pedestrian Plan. The Jeffersonville Bicycle and Pedestrian plan is intended for locals and visitors who would like an alternate mode of transportation getting them to major landmarks throughout the City (schools, parks, business, etc.). This plan will also address users that fall into a category of needing to make trips by foot or bicycle because they are physically no longer drive, commuting school children or those who are financially enabled to drive. Please click HERE to find out more about the plan and the times and locations for the community meetings.